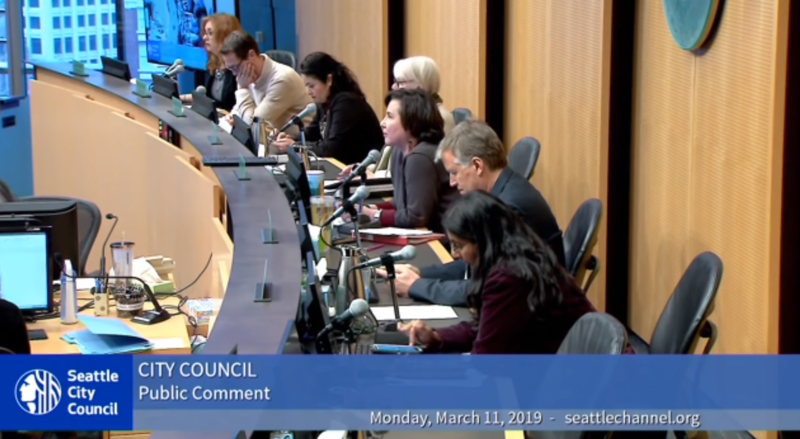 A video of a Seattle city council meeting has gone viral as it clearly demonstrates a disconnect between those who elect public officials and the public officials themselves. In the video, as reported by 770KTTH, a man appears before the city council with a paper in hand. He is given two minutes to address the council as a private citizen. Incredibly, but not surprisingly, only two members of the city council are giving the man any attention. The other five members are deeply engrossed in what’s happening on their cell phones. Before he begins, the man asks that the two minute timer be reset as he points out that the council members are not paying any attention to him and are looking down at their phones. Presiding councilwoman, Debora Juerez, curtly told him that the timer would not be reset. For a couple seconds, several council members look up from their phones, but they immediately go back to what they were doing on their electronic devices. It’s important to note, at this point, that the man’s demeanor never changes. He remains calm and collected throughout this entire exchange. The man then folds up his paper, realizing that he would not be heard by the disinterested city council and knowing that he had less than a minute and a half to make his point. Instead, he pointed out that the same council, just a week prior, gave US Representative Pramila Jayapal (D) their full and undivided attention when she spoke before them and even ignored the two minute rule. This point is spot on and goes to show that the idea of “public servants” is long gone. Instead, America has a ruling class and a ruled class. Those who are in the ruling class believe themselves to be superior to those who are ruled. Understand, in the beginning days of America, the idea of being a professional politicians or choosing politics as a career choice was a foreign concept. People were busy with their lives and their trades. They went to politics, often times with a meager salary or no salary at all, as either a duty to serve their fellow man or to accomplish a specific task. Once that duty or task was finished, they went back home to tend to their crops and take care of their family. Politics was looked at as we might look at jury duty today. It was something that had to be done and everyone had to do their part when they were called to do so. Whereas in the past, politics was a means to an end, climbing ranks in political office has become the goal of today’s politician. The idea of “for the people, by the people” no longer applies as political office has become a method of enriching one’s self, gaining elitist status and power, and avoiding difficult jobs that require intellectual prowess, stamina, or physical dexterity.